Whether you are a writer with a book-in-progress, a blogger, eBook writer or an already-published author, the creation of an active, authentic and engaging Online Platform is absolutely essential to your future success. High visibility and quality online content will cultivate an eager audience of potential book buyers and devoted fans. Social media plays an integral part in platform development. During the interviews you will learn tools, strategies and insights from people who are already achieving outstanding results with Social Media. This is a great opportunity to gain valuable information from their knowledge and experience. While mostly focussing on non-fiction books these strategies work just as well for fiction authors. Stacey is a business and online marketing trainer, speaker and social media strategist accredited with the Relationship Marketing Institute. Having worked with industry leaders such as Mari Smith (author of The New Relationship Marketing and Facebook: An Hour a Day) and Peggy McColl (NY Times Bestselling author and author mentor), Stacey now mentors writers and authors to build relationships and community online. 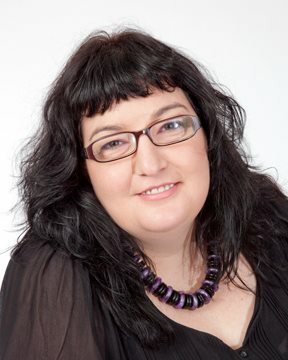 Stacey is an avid reader and passionate about supporting authors to get their message out to a larger audience. She knows how overwhelming it can be juggling the writing of the book, with looking for publishing options, creating partnerships and building an early readership. Whether you are looking for training to start, or enhance, your online presence, someone to completely manage your accounts, or wanting to put together a comprehensive author platform strategy and support with the implementation, Stacey would love to work with you. Book Marketing – key information for authors to publish, promote and gather valuable information to establish yourselves credibly online. Looking forward to your show, Stacey, looks awesome! Thanks, Michelle! Can’t wait to air our interview!! Join me in welcoming Stacey Myers to the Network with her podcast – Author Platform Success Show. The topics you’ll be sharing on your show will be invaluable to all authors and I can’t wait to hear all the tips and strategies you and your guests will share. Thanks so much for the introduction, @[1072182731:2048:Annemarie]. I am lining up some great guests! !